Google may be busy buzzing about new services this week, but behind the scenes, the G-Team is quietly working to fine-tune its last major endeavor. I'm talking, of course, about the Nexus One. Google has made a handful of significant changes to its first self-sold Android phone over the past several days, slowly but surely responding to criticism and adjusting its approach. From slicing supersized fees to expanding support options, Google seems focused on fixing the negative perception that surrounded the phone's launch. First, the fees: When the Nexus One entered the world, it didn't take long for people to realize this baby was a bit different. Thanks to the atypical sales setup of the subsidized phone -- you're buying the handset from Google, but using it with T-Mobile -- the contract essentially doubled up on early termination fees. The problem was that both Google and T-Mobile were piling on their own fees: $350 from Google and $200 from T-Mobile if you decided to bail early. All combined, then, you'd face a whopping $550 in penalty charges for cancelling your service within the first four months. No matter how you look at it, that's a lot of shekels. Even the much-maligned AT&T charges only $175 for cancelling an iPhone contract early, and Verizon's recently doubled rate still reaches only the $350 mark. 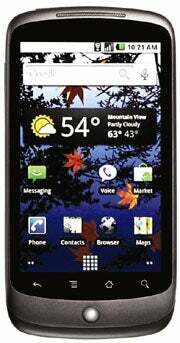 Heck, the Nexus One itself doesn't even cost $550 -- you can buy the thing unlocked for $529. Customers weren't the only ones complaining about the oddly high demand; the FCC also started asking questions. Now, Google has changed its game, cutting its fee by more than 50 percent down to $150. T-Mobile's $200 early termination charge still stands, meaning the grand total for getting out of a Nexus One contract within the first four months is now $350 -- the same as what you'd pay on Verizon. Google's other about-face comes in a highly criticized area of its Nexus One approach: customer service. Initially, the phone was supported primarily through an online forum operated by Google. Customers complained about having to wait multiple days for responses; attempts to contact either HTC or T-Mobile directly, users said, left them in a maze of endless call-transfers and cross-company referrals. Google seemingly listened to the gripes: The company has set up a toll-free support line for Nexus One ordering issues and has also posted a number for technical support via HTC. Both hotlines have live agents available -- and, despite some strange rumors that the operators are actually all goats, communication doesn't seem to be a problem. Farm fun aside, the Nexus One fix-it list rolls on: The phone recently received an over-the-air update that delivered native multitouch functionality and a handful of other software improvements. The improvements included a tweak to eliminate 3G connectivity issues as well as a new synchronization-ready version of the Google Maps Android app. Following the Nexus One's first week in the wild, I suggested that if Google could fix its customer support and connectivity problems, it might just be sitting pretty. As I pointed out at the time, the Nexus sales estimates may not be through the roof -- but the goals surrounding the phone are likely far broader than any raw numbers can measure. 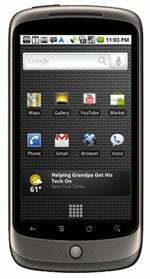 The Nexus One marks the beginning of a new kind of distribution model headed up by Google. At its launch, Google's Android team hinted at the future growth in mind for the company's new platform-centric phone store. With the initial kinks slowly coming under control, I suspect we'll soon start to see how those big picture goals could begin playing out.